shenzhen ok3d technology Co., Ltd.
3d software,3d design software,3D photo design software, effect can be depth 3d, flip,morph, zoom, animation,3d+flip,ect. 1. Modify drawline in one layer, like move, zoom, forward, draw back, different layers can be moved, cut, pasted, the point can be moved, increased or decreased etc. 2.The frames can reach 999, running speed of computer is very fast, memory is more optimized. 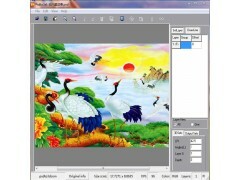 3. import large size PSD file, improve the accuracy of 3D photo, you can make large 3D photo even on a common computer. 4.Support CMYK color, there is no loss when printing or outputing. 5.Support 3D puzzles, midline can be aligned automatically, it supports loop pattern. 6.Output gif and anaglyph, it is convenient for clients to see the effect. 7.Support PSD output, easy to make mould. 8. Support 3D, flip, zooming, morphing, animation etc. We have important business in the overseas market due to our high quality and reasonable prices. Also,we can supply 3d lenticular software according to customers’ requirements!We can also produce according to your requirement. We promise the high quality but the low price . Welcome to discuss the business.